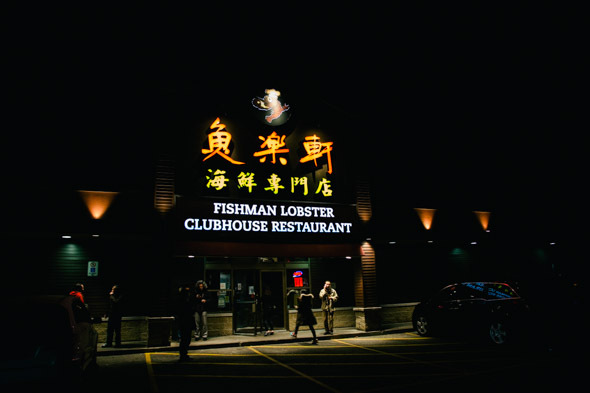 Fishman Lobster Clubhouse emerged in the late aughts to become a certified 905 rite of passage. 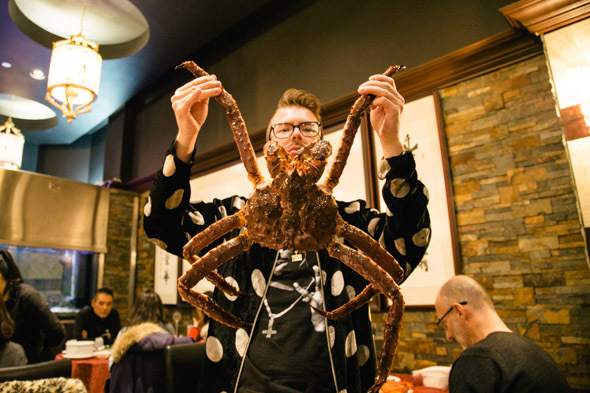 Since then, its cult status across food blogs for its photogenic seafood creations has widened in reach, making weekend reservations a must. After a quick Pacific Mall re-up on the latest phone accessories, Asian snacks, bubble tea, and designer knock-offs, who doesn't want to end the day with supper paraded out through the aisles on a hook for inspection? 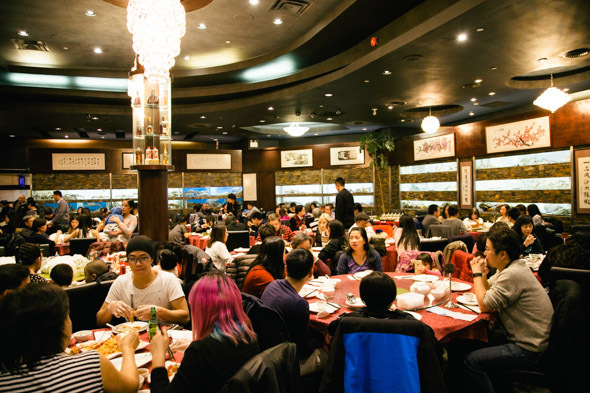 More regal than 'clubhouse' implies, flanked by a half dozen tanks filled with a gnarly cast of king crab, gigantic lobster, and mean-muggin' fish, the dining room would actually be quite laid back with its family gathering vibe if I weren't for the propped-up crustacean glamour shots every few minutes. By the pound, Lobster ($17/lb) and King Crab or Vancouver Crab ($45/lb), clock in at a reasonable price given the freshness and quality. 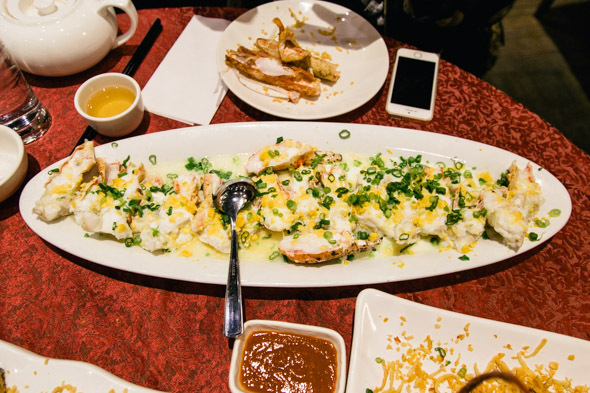 The default style is fried with green onion and ginger, which we chose, but you can also get these dishes baked in soup, or steamed with wine and chicken oil, among other options. Other seafood rotates seasonally. 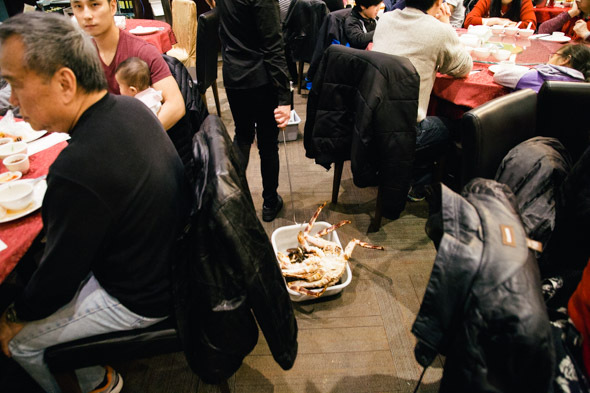 While you can go Ã la carte, you'll be pressured into a set meal ranging anywhere from $80 to $800, with the bulk of them falling in the $200-$300 range. One thing's for certain: rifling through a sheaf of menus makes the selection process a chore. Furthermore, their dinners for two could likely feed four; and their dinners for four could fill up six to eight hungry eaters. But how does it taste? 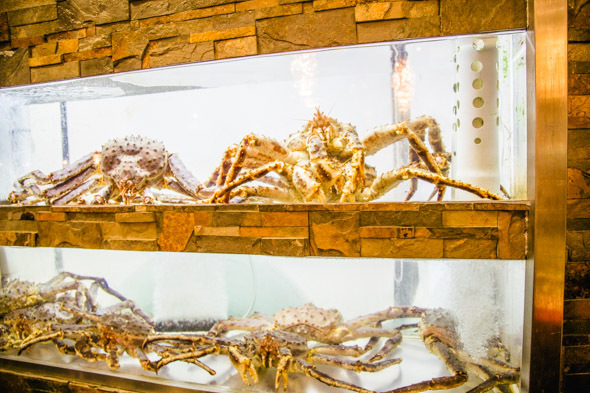 We opt for the King Crab and Lobster dinner for four ($288 for 4.5 lb lobster and 6 lb king crab) even though there are only two of us. After the pageantry of meeting your meal, there's a traditional corn and egg soup that's simple and tasty but ultimately bates your breath and not much else. 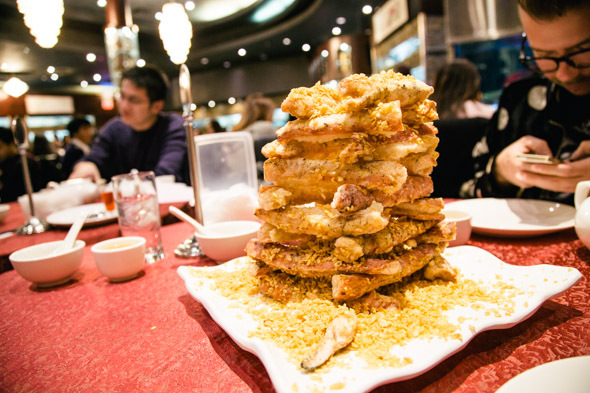 Thankfully, soon enough, the tower of King Crab descends upon us. Sheathed in disposable plastic gloves, the mess begins. 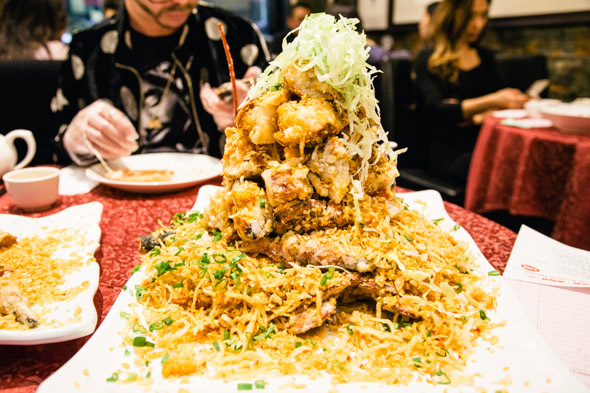 Fried, Cantonese-style, a cereal of fried garlic garnishes the latticed criss-cross of crab legs - my favourite kind of Jenga. The meat is sweet and buttery, salty and tender, bursting with meaty flavour. Halfway through, the lobster mountain arrives. Doused in green onion, another metric ton of garlic chips - seriously though, how much garlic must they go through? 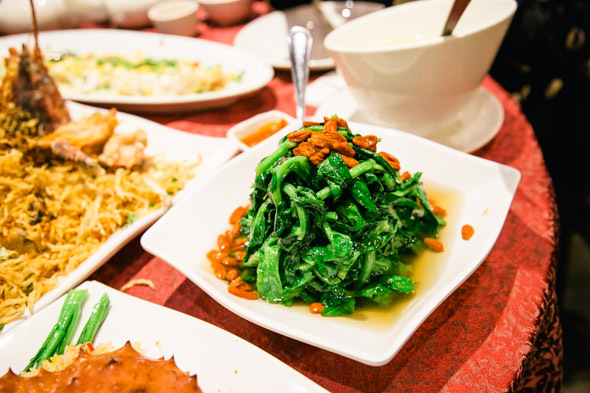 - and a tussle of shredded lettuce, the HK-style dish is equally as satisfying with its deep flavours and supple salty goodness. The other dishes are less ambitious but still generally pleasing. The remainder of the crab meat is steamed with salted with egg white, corn, and green onion. On it's own it would be tasty but rather bland compared to the bombastic fried piles from before. The fried rice comes out and it's quite delicious. Clean oily flavours right out of the wok of egg, lobster meat, and roe - which I thought was a nice touch. 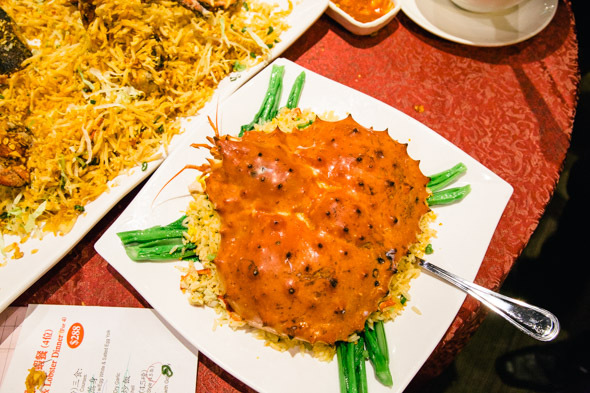 The dish comes out plated in the crab carapace half-shell - a nice trophy from the experience, perhaps. Stir-fried pea shoots with goji berries reminds us edibles can be green, too. Usually it's odd timing for veggies and a rice entrée to arrive at the back end of a meal. 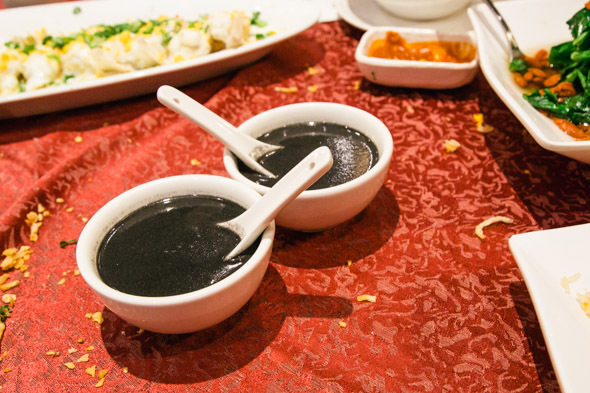 We barely saved room the black sesame dessert soup finale. Beyond awkward staggering of dishes there's another sticking point that has nothing to do with pincers. Without fail, each time I've visited, the seafood outweighs the set combo weight, which requires an added fee. I suspect this is a regular ruse that rarely if ever goes the other way. When we asked if they had a lighter catch, they said they didn't have any in stock. A tad underhanded, if you ask me. So, on this occasion, after tax and gratuity, the tab ballooned up to close to $400 mark. Adding insult to injury, the crab and lobster arrive almost suspiciously fast after visitation rites. I wouldn't be surprised if there are showroom models to the actual prepared ones back in the kitchen. So, overall, while the meal was satisfying, affordable, and worth going if you bring enough people, Fishman is not without its foibles.